The business process test node. The test or business component name. The name of the results. The test version (used only when using ALM with version control). The test set (used only when connected to ALM). The test instance (used only when connected to ALM). 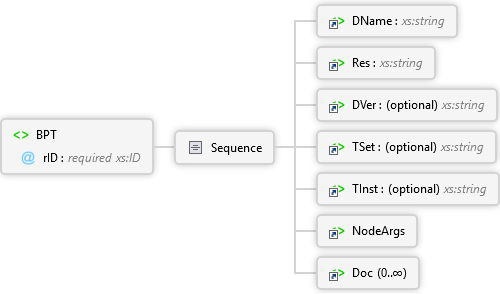 The document type node: test or business component. rID xs:ID required The ID of the node.